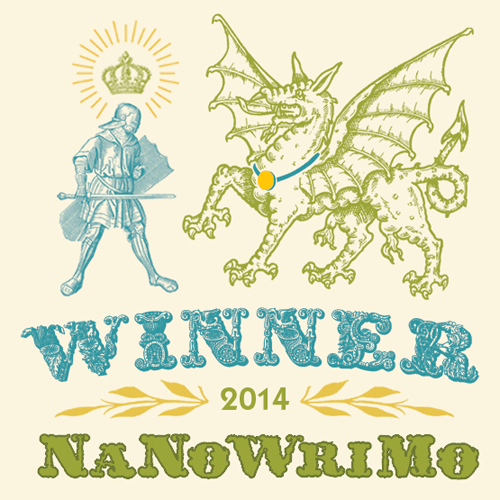 Yes – I managed to complete a 50,000 plus word ‘novel’ in November and win NaNoWriMo 2014! Lets get the stats out of the way first – as of yesterday, I topped 50,000 words. That’s not bad given that still left me a day to add a couple of thousand more. However, this month didn’t quite go to plan, and it wasn’t actually until the 24th that I even hit the run rate, having trailed by a couple of days sometimes, whereas in 2011 I’d gotten up to speed almost a week earlier. When I could sit down and write, I got words out – sometimes in an hour I could top 1,200 words. If there was a time in procrastinating, it was in the getting to the sitting down. Also, it was a much busier month than expected. That’s no bad thing. I did most of my writing on the Thinkpad, in the Scrivener beta for Linux, and it worked really well as I expected. So how did the story development go? Quite well actually. As I might have expected, it went in unexpected directions, mainly since I’d done virtually no pre-planning or outline, and somehow, the main protagonist turns out to be a bit of a bad person. Or not. I suppose it depends on how you look at it. As for the ending, I think it answered enough questions, without trying to close every single thread off. In a medium sized nutshell, its about a person who reincarnates and can remember certain amounts of his memory. By nature, it’s meant to be a thriller, and parallels the lives he/she leads, and those he/she is in contact with, the the things they are all trying to achieve. It broadly takes place in 17th century London, the 1930s China, 1990’s London, mid 21st Century Yokohama, and then mid 22nd century Nagano. Of course, when you have a protagonist who has lived for an undefined amount of time, you can place them any time really, but for now, that’s the kind of scope I’m keeping to. As Chuck Wendig would say, this is something of a draft zero, so I need to go back and re-draft it – likely several times over the next few years. I have a list of things I want or need to change, to fix some continuity, tweak the ending a little to make it a little more suspenseful. There’s also a lot of texture to add. In 2011 I tried to put the texture in as I went, meaning that at the end I was dropping major sub-plots to get over 50,000 words. 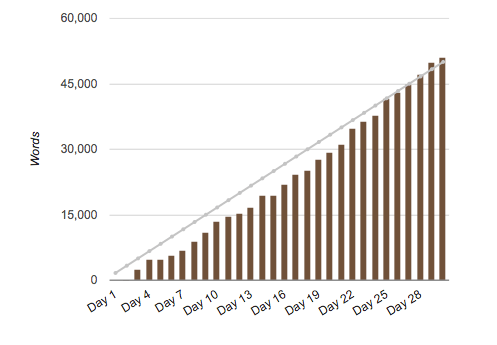 This time I wrote more roughly, but got most of the plot points in, I think when I rework it, it’ll top 80,000 words, but it should explain character motivation a lot. I expect to revisit it around the New Year break. Well, I can say if there was a soundtrack this time it was ‘Walter Sickert and the Army of Broken Toys‘ and their album (rather ironically) ‘Soft Time Traveller’. I picked it up in October after hearing some tracks on a Rathole Radio show, and the tracks ‘Walls’ and ‘Pornival’ really captured a couple of chapters. Oh yes, this year I actually managed to come up with a title too – “Times of Incarnation“.